Lately I've been testing out different exercises, and I've been experimenting with basic gymnastics. Here's one that I just recently added to my ab workouts called the "front lever." Grab a bar, raise your body until it's in a horizontal position and simply hold it there for as long as you can. Recently Muscle and Fitness contacted me and notified of a new program they just launched called the Jacked Pack. This is where people can sign up to receive 5-7 supplement samples of various products each month for $15.00 a month (or $11.25 with an annual membership). The shipping is free, and they also give some additional perks to members, such as $15 off any $75+ order at the Muscle and Fitness Store, 3 FREE ISSUES of Muscle and Fitness, Flex, Men's Fitness, or Muscle and Fitness Hers, and more. Members get to choose their specific goals, flavor preferences, etc. to ensure their sample box is filled with products they’d actually be interested in. 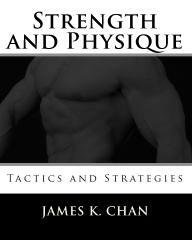 "What are the 5 ab exercises listed in Chapter 14 (Razor Sharp Abs) of Tactics and Strategies?" The first person to answer this question correctly will get the free supplement sampler box. Along with the answers, be sure to send me your name and mailing address. UPDATE: The sampler box has been won. “This book is terrific. It distills years of experience and research into short sections laying out specific, creative programs for the major body parts, using the best science and advanced training techniques. Some of them created by the great 'masters' of bodybuilding like Larry Scott. Almost every section has a 'eureka' idea that I'm craving to try, like the back trifecta! The book is much more useful than subscriptions to all the muscle mags. I only wish I had it when I was a kid." "Sticking to your principles to the letter has helped me improve immensely. When I started lifting over two years ago I was 125 pounds and now I'm over 170. "What I'm trying to say is that reading your books helped me understand what I needed to do to gain [muscle]. My dedication plus your expertise really worked out well for me."